Fix Flaking Clear And Messed Up Paint At Home With This Rattle Can Kit! 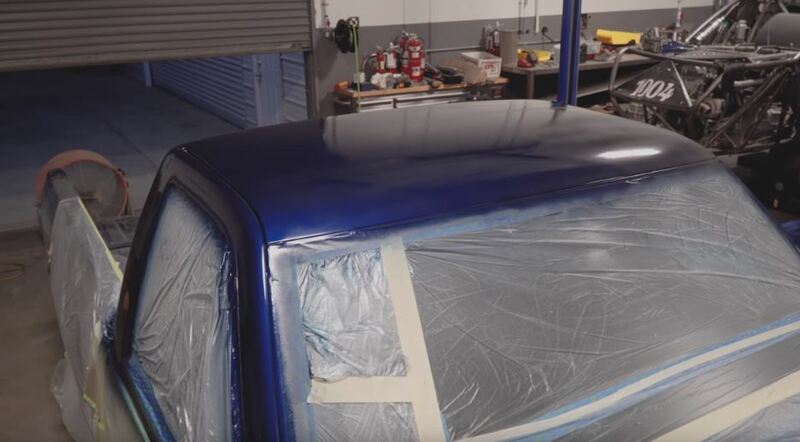 How many times have you seen a car or truck on Craigslist that you thought could be cool to own, but then realized it had flaking clear coat and would be way to much work to fix on a budget? And how many times have you heard that this requires a high dollar total repaint? Well with this kit you don’t have to hire a body shop, buy equipment, or go back and forth to Home Depot for tape and masking stuff. This is a complete kit that is all aerosol can based and lets you completely repaint and fix trouble spots at home in your own garage. This is pretty cool, and makes us want to shop for something with messed up paint just so we can fix it! The Keystone Funny Car Nationals Are LIVE Saturday! Calm Down, Turbo: This Mazda RX-3 Got Way Too Excited And Flipped (onto) It's Lid! A public service announcement! It’s my contention that ANYONE can do auto paint but most folks scare themselves off the project before they even try. This is a great project that anyone can do. Another solution I have seen done on the roofs of daily drivers is a vehicle wrap. Match up the color and you are good to go. Just the roof is less than $150.00. Price and quality seem to vary depending on the body shop you use. My land racing bike is rattle can. Most people can’t tell, or don’t care. It’s a constantly evolving project, so I never saw the need to lay down big bucks for paintwork. I need this for my wife’s Accord!